Make An Impact to #BeatCancer With Us! We need businesses and individuals like you to help Washington Cancer Institute continue its lifesaving mission to use the strength of its interdisciplinary approach in caring for patients. As the city’s only five-star, five-diamond luxury hotel, Four Seasons Hotel Washington, DC is a prime location to showcase your company’s generous support of this annual event supporting a lifesaving cause. 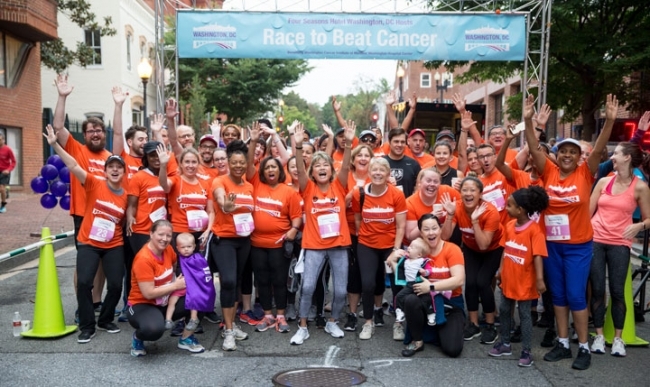 Join us in the fight to #BeatCancer by becoming a sponsor today! You can view and download our unique sponsorship packages HERE.